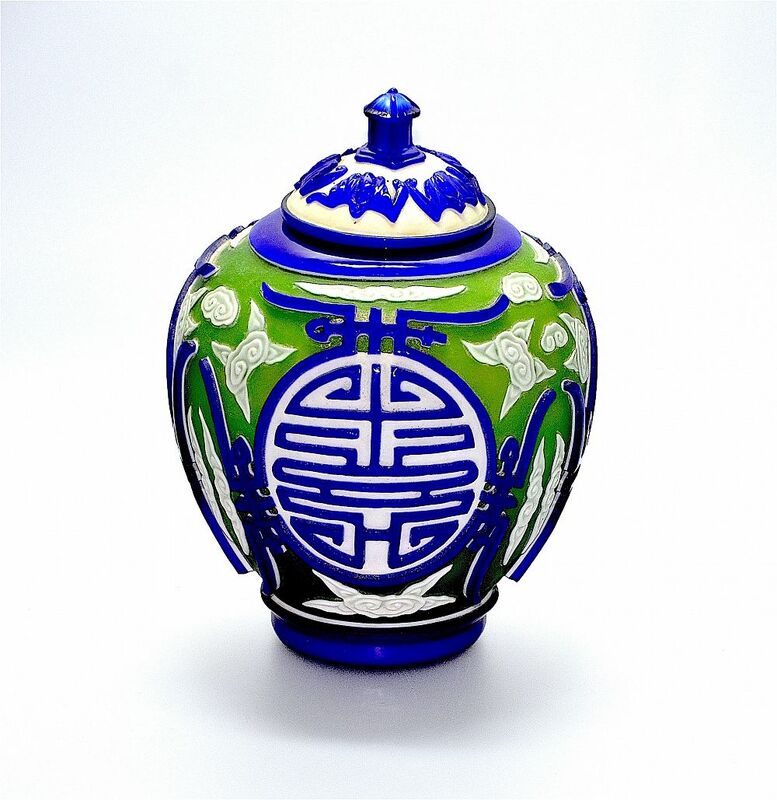 This is a fabulous cameo glass ginger jar and is a mid - late 20th century Chinese piece. The base has three layers of coloured glass, cobalt blue on the top, white in the middle and green on the bottom. 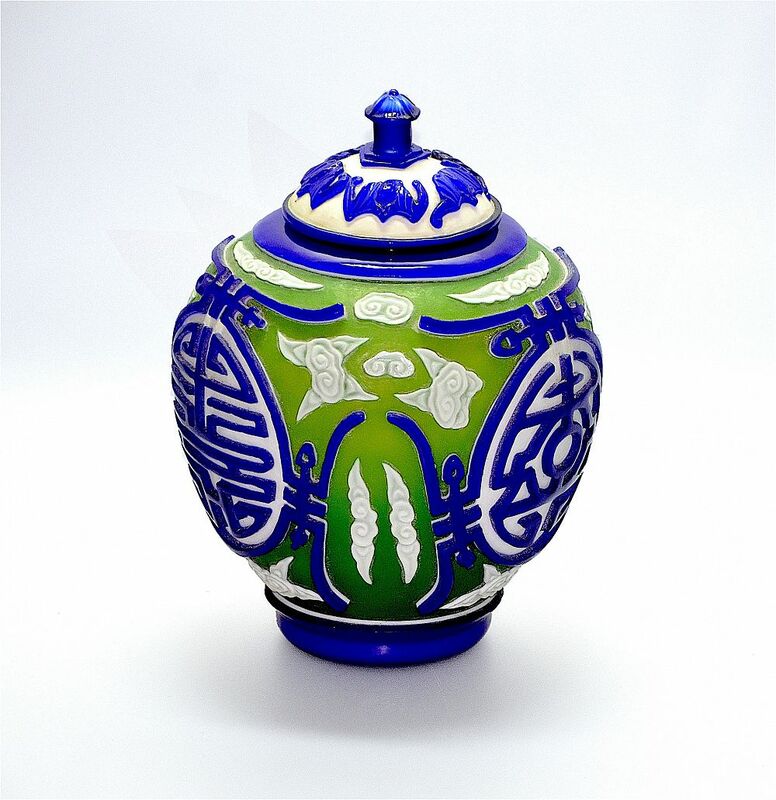 The top layer of cobalt blue glass has been cut through to reveal the white and green layers carving white floral decorations and blue Chinese symbols. The lid has two layers, blue on the top and white underneath. The top layer has been cut through to carve flying bats. A really striking piece.